More the pink bird than the Spanish dance form, the Flamingo is very dry, spicy and classic (I mean gin and brandy) in its flavor. The pink color is no indication of sweetness, just a near perfect match to that lanky bird. I can think of no better shade for a drink at cocktail hour. Bombay Sapphire in this drink keeps the dryness firm against sweet apricot brandy. The botanicals are so lightly infused that they don't bowl you over like some of the local gins I'm drinking right now. 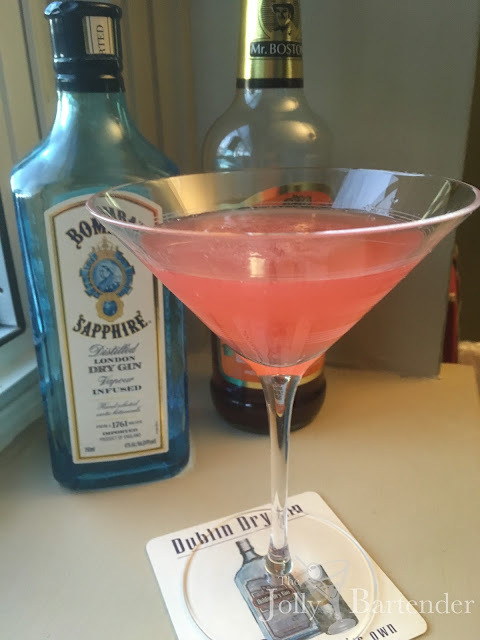 The British really have a way with dry gin, which in the classic cocktail sense is the base of almost all cocktails before vodka became more prevalent.